Father Philippe Blot, who belongs to the congregation of Paris priests committed to serve in foreign missions, has visited North Korea on several occasions, taking considerable risks. He spoke late last month at Notre Dame Cathedral, during the “Night of the Witnesses,” an initiative of the French office of Aid to the Church in Need (ACN). 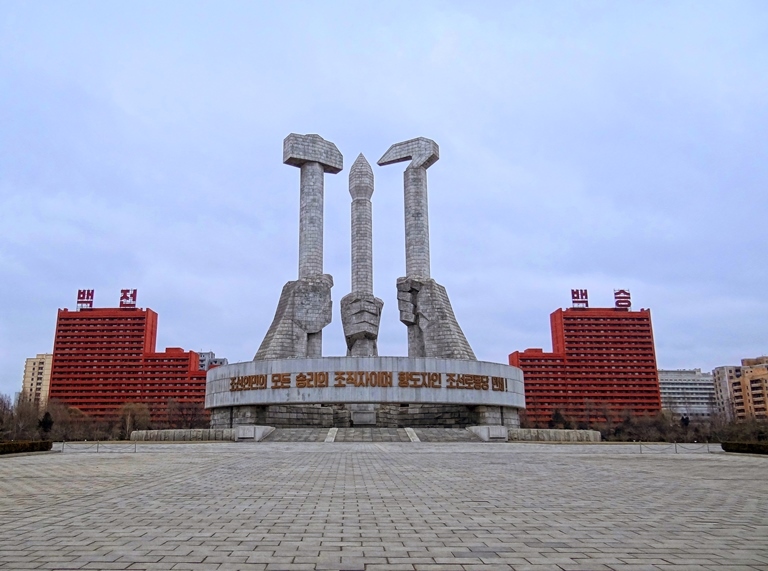 Recently, I was able to travel to North Korea and, despite the constant surveillance by the police, I was able to verify the truth of various reports and hear numerous witness stories from North Korean refugees. First of all in the hospitals: the situation is critical—no antibiotics, no dressings, not even any soap. To give you just one example, instead of bottles of serum for the transfusions, they use beer bottles filled with boiled sugar water! I was able to visit some schools. They illustrate the chronic malnutrition of the entire population—with the exception of the apparatchiks of the regime of course! One needs to know that a North Korean child, aged seven, measures on average 8 inches less and weighs 22 pounds less than a child in South Korea. The refugees [I met in South Korea] were unanimous in telling me that in North Korea, “you have to bribe some member of the party or of the army in order to obtain basic necessities.” Hence corruption is the order of the day. I was surprised not to see any handicapped people. The truth is that the North Korean regime, racist and eugenicist, is obsessed with the notion of racial purity in which those designated “abnormal” have no part. Consequently they are expelled from the major cities. North Korea is a country so closed that no one can enter or move around without a visa— “including God,” as the refugees add with a touch of black humor. The two principal pillars of the repression are, on the one hand, total control over all the movements of the population, and on the other, enforcing complete ignorance about the outside world. North Korean refugees who have succeeded in escaping discover to their astonishment a reality that is totally different from what they have been told ever since birth. They describe all the unbridled Marxist propaganda inflicted on the people in order to make them zombies, submissive to the Communist Party. The dictator is presented as a veritable “god,” an idea unfailingly promoted in every speech, in all the teaching, all the information. 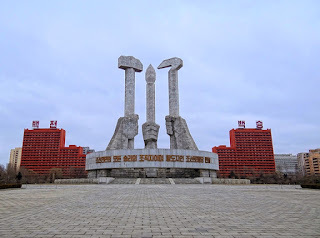 The Kim dynasty is the object of a frenetic propaganda effort, with its 30,000 giant statues and portraits in every town and village and it slogans inscribed on vast billboards on every street and road. 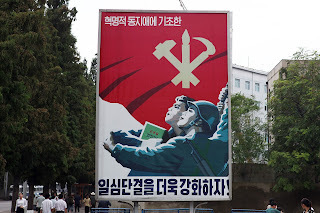 North Koreans are taught to spy on their neighbors and colleagues and denounce one another for any failing in their duty towards the “Great Leader.” After the arrest of the transgressor, the whole neighborhood and the family are rounded up in order to criticize the transgressions of the supposed delinquent. Then he is either deported, or everybody witnesses his execution. Many thousands of Christians are languishing in these deportation camps. Eyewitness reports and the observations of Western satellites allow for an estimate the number of persons detained in these veritable concentration camps—anywhere between 100,000 and 200,000 individuals. The brutality of the camp guards is the daily bread of these prisoners, who work 16 hours a day, suffer atrocious torture, to say nothing of the public executions of those deemed to have been recalcitrant. According to the regime there are around 13,000 of them, but according to humanitarian organizations there are 20,000 to 40,000. They are singled out for the cruelest treatments of all—they are crucified, hanged from bridges or trees, drowned, or burnt alive. Some forms of torture are too horrible for words. 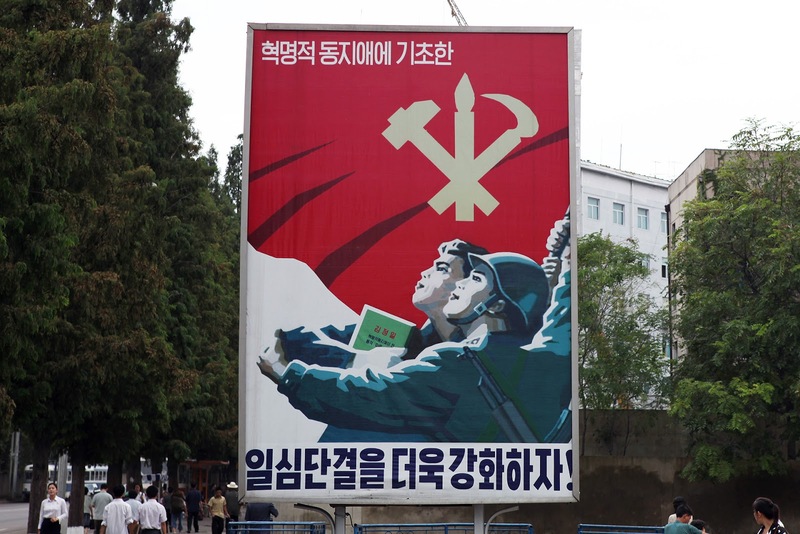 The rulers of North Korea have banished all forms of religion, particularly Christianity and Buddhism—because, according to Marxism, religion is the “opium of the people.” North Koreans do not know what a Bible is, nor consequently who God is. A few years ago, with great fanfare of propaganda, the government opened a Catholic church, a Protestant temple, and an Orthodox church in the capital—but of course they are nothing but mere showpieces! Yet despite all this, there is an underground Church in North Korea, which is subject to continued persecution. North Korean refugees confirm that they have seen neighbors arrested for praying, at home or in a secret place. Some information does manage to filter through; for example, two years ago, a pregnant woman aged 33 was arrested in possession of 20 Bibles. She was beaten severely, then hung by her feet in public. In May 2010, some 20 Christians were arrested; they were part of a clandestine Church. Three of them were immediately put to death and the rest were deported. It is thought that since 1995 at least 5,000 Christians have been executed, solely because they were praying secretly or distributing Bibles. Many North Koreans have become Christians thanks to the presence of foreign missionaries on the border. It is also known that some American and Canadian pastors of Korean origin are currently imprisoned in the political prisoners’ camps for having helped the refugees. Refugees, when caught, risk being forcibly repatriated—which means prison, torture, the camps and death. If they are not repatriated, they risk falling into the hands of criminal organizations which traffic in human organs. Women and young girls risk being kidnapped by gangs and sold to peasants or, still worse, to brothel owners. A young Korean girl can be sold for $800-$1200. And so, as a missionary and as a Catholic priest, I am speaking here on behalf of all those Koreans who for more than 60 years have been living the longest Way of the Cross in human history. I speak on behalf of those who have had an eye torn out, or another organ—without anesthetics—so that they can be transplanted into rich Chinese, Japanese or others! I am speaking on behalf of all those North Koreans who are victims of the slave traders! The attempts by these thousands of men, women and children to flee are a fact of major importance, and we need to emphasize the political and diplomatic aspects of it. Unfortunately, the countries closest to North Korea, and also those further afield in Europe or America, are demanding no more than a few changes, in the name of « human rights », without actually challenging the status quo – seemingly for the sake of « maintaining international relations », they tell us – in reality to guarantee a « peace of compromise ». In effect they are postponing indefinitely the liberation of North Korea, and hence also the reunification of the country. In conclusion, calculating things on a strictly geopolitical basis, the 21 million North Koreans risk having to wait a long time before seeing any radical improvement in their lot… Barring an intervention of God, that is, something we pray for ardently every day for this crucified people. I beg you to deliver our North Korean brothers and sisters from the chains that have held them captive now for over 70 years already. Teach peace to the Korean nation, cut in half, north from south, by a fratricidal war. Help us to contribute to reconciliation and do not let us be carried away by despair. Envelop them in your tender saving love. and help them to discover the freedom and joy of living as children of God. In an unprecedented act of ecumenical collaboration, three Iraqi Churches have joined forces to execute a plan to rebuild Christian homes on the Nineveh Plain. Under the auspices of international Catholic charity Aid to the Church in Need (ACN), on March 27, 2017, the Syriac Catholic Church, the Syriac Orthodox Church and the Chaldean Catholic Church—at a ceremony in Erbil, Kurdistan—formally established the Nineveh Reconstruction Committee (NRC). The Committee is tasked with planning and supervising the rebuilding and repair of the homes of their respective faithful, which were damaged and destroyed during the occupation of the Nineveh Plain by ISIS. The Committee is comprised of two members from each of the three Churches, as well as three outside experts. ACN will pursue advocacy and fundraising in support of the Committee’s formidable task: more than 12,000 homes need to be rebuilt, at a likely cost of more than $200M. Funds will be allotted according to the number of homes belonging to faithful of each of the three Churches. Father Andrzej Halemba, head of ACN’s Middle East desk, stressed that the establishment of the Committee is not first and foremost about finding funding.